This week’s opening scene practically oozes foreboding, and Yuna D. Kaito has never looked more suspicious as he prepares tea for Akiho. 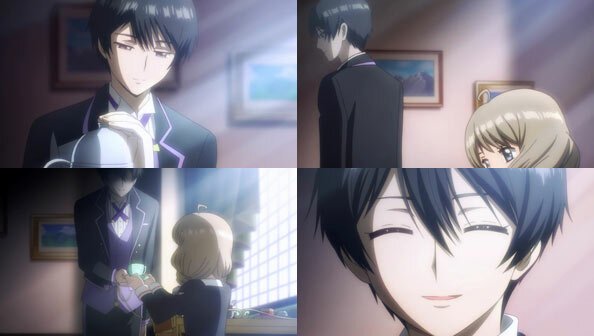 Whether there’s something in that tea or not, the scene all but confirms he’s operating against Sakura behind the shadows—unbeknownst to Sakura, Syaoran, and even Akiho. 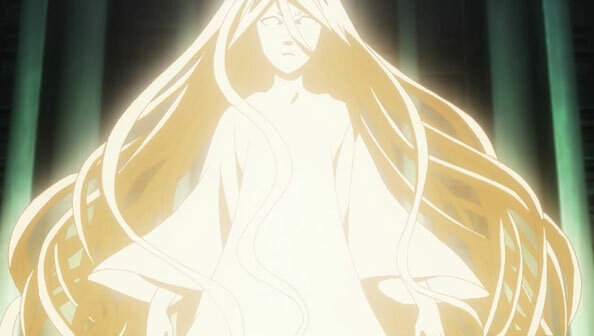 It’s also pretty much certain Akiho is the cloaked figure in Sakura’s dreams, and that the dreams are being shared between the girls, with neither of them know the other is in them. All Akiho knows is the feeling of wanting something the other person has. That thing is Sakura’s key, and Yuna seems pleased the dream is “progressing”, most likely in his favor. 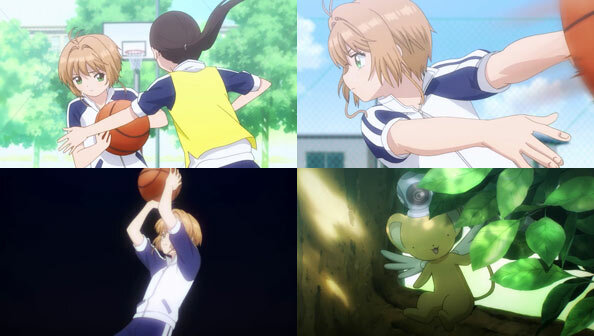 By laying out some meaty plot progression right off the bat, the more slice-of-life ball sports tournament at school feels more earned and less like more stalling (though if you’re not watching Sakura at least in part for her high school slice-of-life…why are you watching?). It helps that the sports are a lot of fun, as watching BasketBaller Sakura toss no-look passes, crossover dribble, and nail shots from downtown is just as fun—and smoothly-animated—as watching her battle and capture cards. 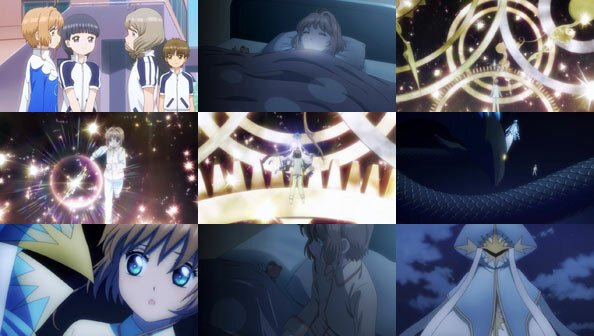 The school doesn’t allow students to film the events, but Tomoyo finds a way around that by using Kero-chan, who is more than game to redeem himself after the playground footage debacle. 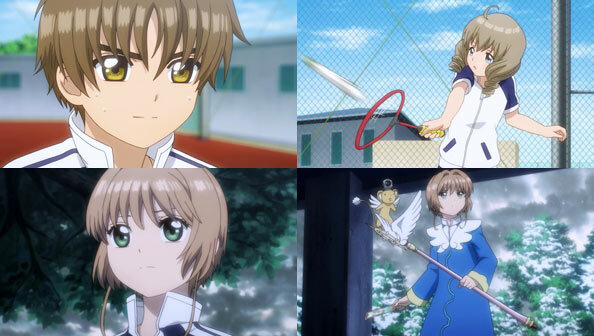 The sports tournament again demonstrates not only Sakura’s athletic skills, but those of Syaoran and Akiho, the latter two specifically in the field of badminton. I loved how seriously Sayoran was taking his match, which Akiho was keeping very close, and how Sakura wanted to root for both of them. Just as she hopes for a tie, a surprise hailstorm rolls in, ending the match in a tie and sending everyone scattering for shelter. Sakura stays out, because she’s pretty sure this is a new Card. Unfortunately, as of yet she has no fire-element Clear Cards, and Reflect only sends hail into the building, causing damage. Syaoran, still sore about not being able to put Akiho away (if he was even capable of doing so! 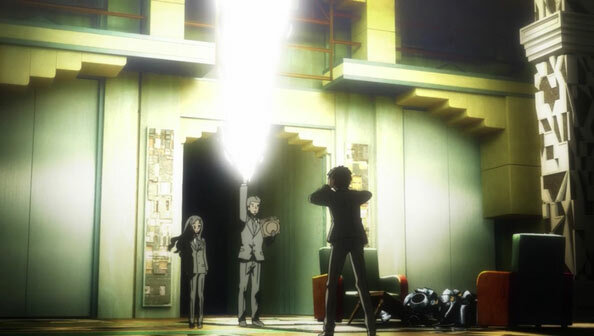 ), summons his fire sword to help out his girlfriend. His initial lower-powered attack isn’t effective, so he breaks out a bigger spell that stops the Card in its tracks, allowing Sakura to secure it. 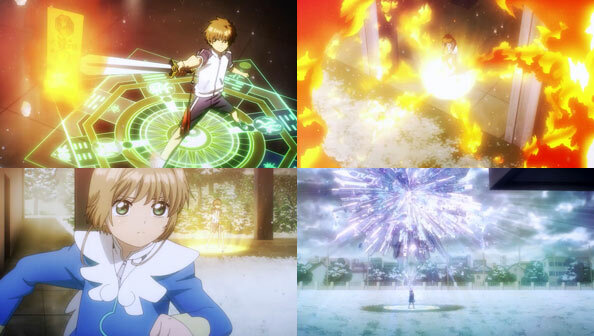 It’s a great bit of Sakura/Syaoran teamwork, and shows that her friends will be there to fill in her weakness (in this case, no fire Card). Now, at least, if she comes upon a fire Card, she’ll have Hail to counter it. After the battle Akiho comes running, and when she sees Sakura in the poncho Tomoyo made, she assumes it’s for another play that doesn’t really exist, but Sakura doesn’t correct her. That night Sakura turns in early, seeing as how it was a very active day and she overslept that morning. Upon falling asleep, Sakura’s right back in Clockworld with Cloaky, who we can now assume is an unwitting Akiho, possibly working as Yuna D. Kaito’s puppet in the dream. She again tries to steal Sakura’s key, but Sakura grabs it back, and a giant dragon appears just below Cloaky, ready to swallow Sakura up. She wakes up before that happens, and checks to make sure she still has her key before going back to bed. But she’s definitely unsettled than ever before. The figure is not only taking things up a notch in the dream, but perched on a utility pole just outside Sakura’s house. 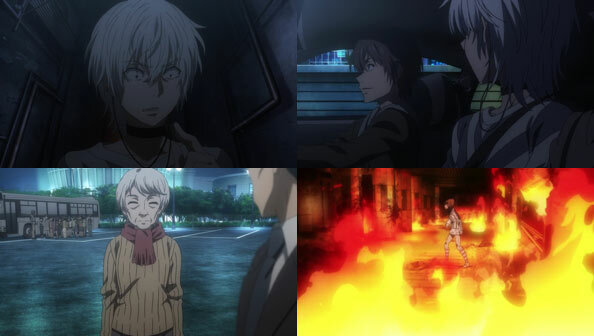 Some great semi-revelations this week that really escalate the tension. 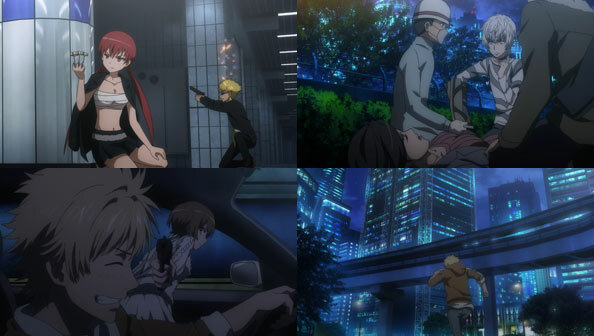 That all of this is going on without any of Sakura’s allies’ knowledge makes me feel all the more worried for Sakura. If she were to lose her key, she wouldn’t be able to capture or use cards. That…would be bad! P.S. Going forward, we at RABUJOI have agreed to use more descriptive (if not always the most perceptive) titles to our posts. We’ll see how that goes! Lindel’s fireside infodump-er-saga with Chise continues as he recounts his early travels with his new apprentice Elias. 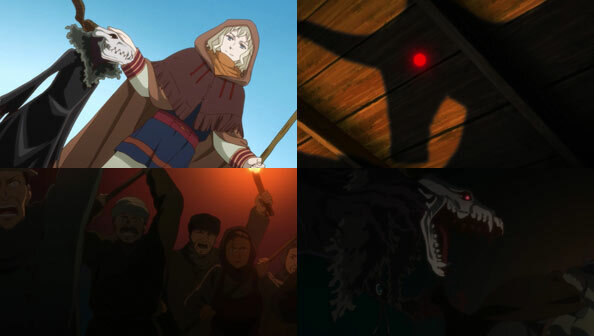 While making a house visit to heal a sick child, the child’s sister has “the sight” and spots Elias in Lindel’s shadow. 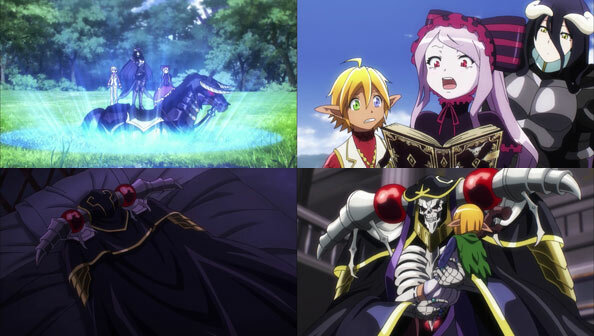 The girl assumes it’s an evil demon, and before long the entire village is mobilized against Lindel and Elias. When Lindel is injured by a thrown rock, Elias loses his temper and attacks the villagers with his thorny vine appendages, basically confirming their worst fears. And here is the start of the trouble with Elias Ainsworth that I’ve had for the past ten weeks; a problem no closer to being solved in its eleventh. 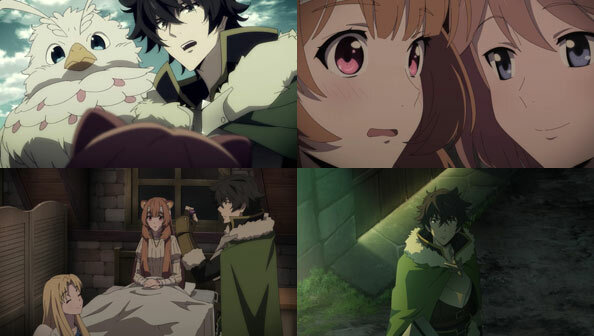 As Lindel’s master noted, he has a tiny amount of human in him, but there just isn’t enough humanity for me to fully emotionally connect. 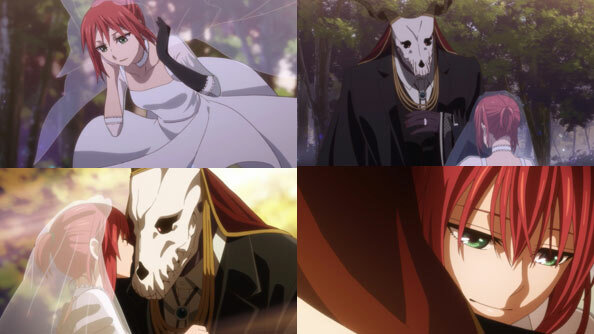 That’s made any exploration of Elias and Chise’s relationship—in terms of her status as his future wife—feel incomplete and unsatisfying. 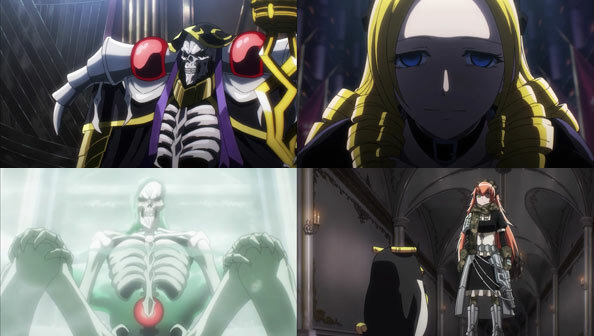 As Lindel said to Chise, Elias “seemed to be missing something”, and for me, he’s still missing it. But perhaps I’m not being open-minded enough with the premise that it isn’t that Elias isn’t human enough, but that for all the years he’s lived, Elias is still a child, and not just in Lindel’s eyes. As a child, he’s insecure, emotionally stunted, and prefers the shadows. 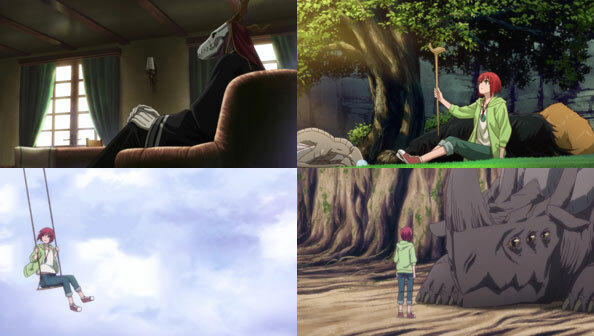 Chise, with her own stunted childhood, is in a similar state, leaving us with two would-be “lovers” who really have no clue what they’re doing. 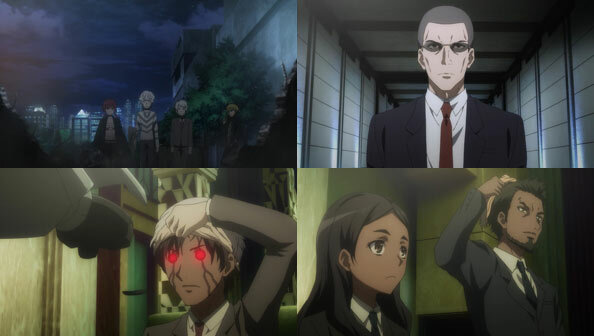 A large part of that is neither Elias nor Chise have really taken the time to dig that deeply into who they are and what they want, aside from the big things like “survival” and “being wanted/needed”. But never mind that for now; we’ve got a long way to go with these two crazy kids. 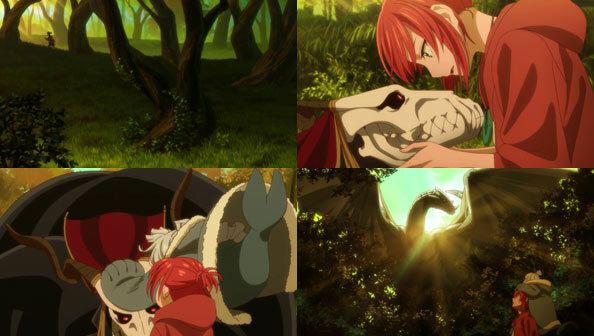 For now, Chise gets tossed back into the water by baby dragons, meets a leviathan (neat!) and then sets to work whittling down a wooden log into her wand, which is meant to be an introspective process. When night falls, Lindel, AKA Echos, sings the song of a hundred flowers, and all number of magical beings emerge and join in a dance. 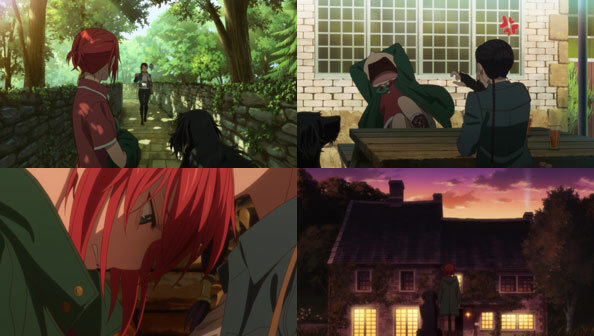 Chise dances for the first time, and then inadvertently opens a “water mirror” through which she can communicate directly with Elias. 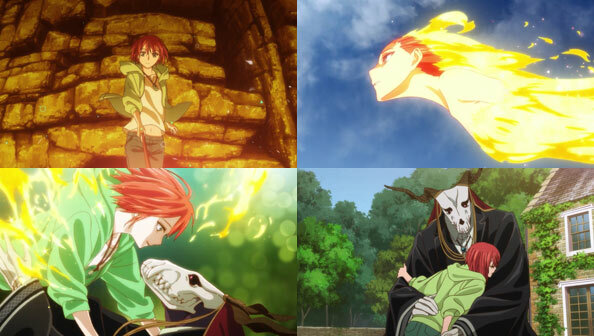 Chise says Elias “looks troubled”, which is a bit silly since his bony face never really changes that much, and then the two remark at how much they miss one another, despite not having been apart all that long. 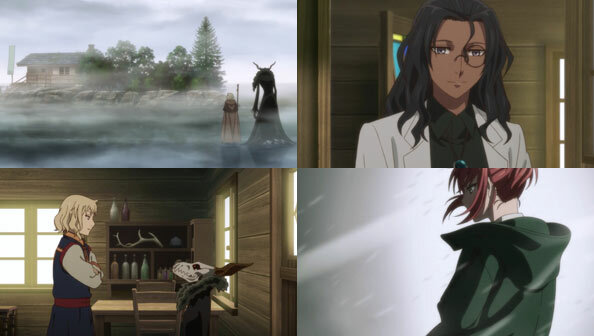 Home is cold without Chise, and Chise wants to show Elias the beautiful scene Lindel has created. “Two kids”, as Lindel said, both trying to figure out who they are and what the other person means to them. 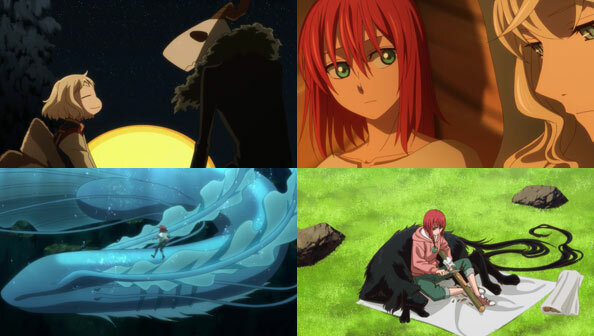 And since Chise has learned so much about Elias—things he couldn’t or wouldn’t say—she wants to reveal to him more about her self; something she hasn’t yet been able to do to her satisfaction. 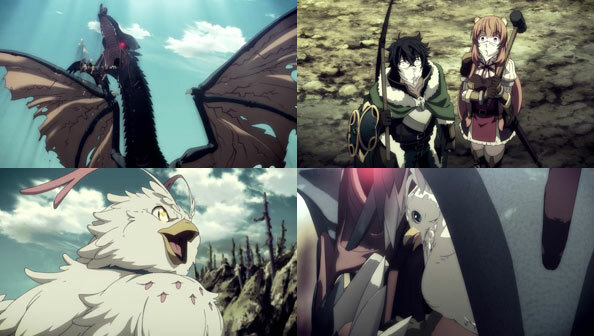 Lindel sends a selkie along with one of the young dragons (now big enough for a human to ride) to invite Chise to the Land of the Dragons so the “Robin” can have a wand made. For this journey, Elias will stay behind, though Ruth will remain by her side. 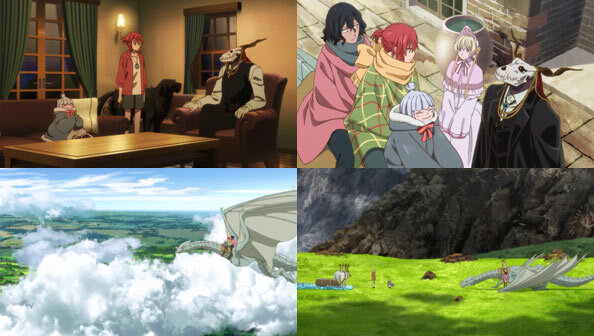 Chise’s dragon ride through the wind and clouds is appropriately epic in presentation, with stirring orchestral accompaniment to boot. 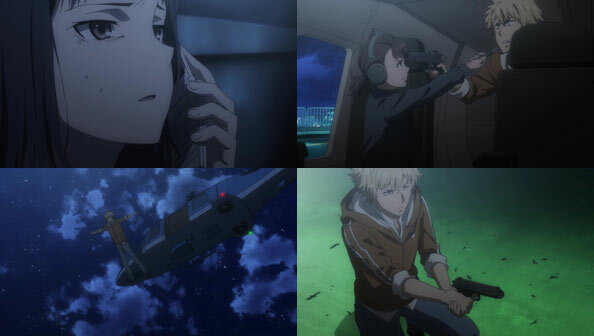 It’s also nice, for once, to have an episode without any imminent or even perceived threats. 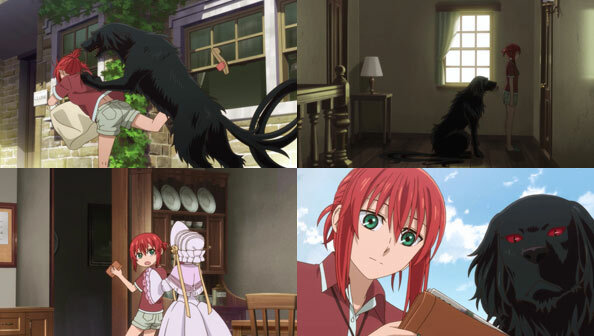 There are more sides to Chise’s life than peril…procuring a wand, for instance. 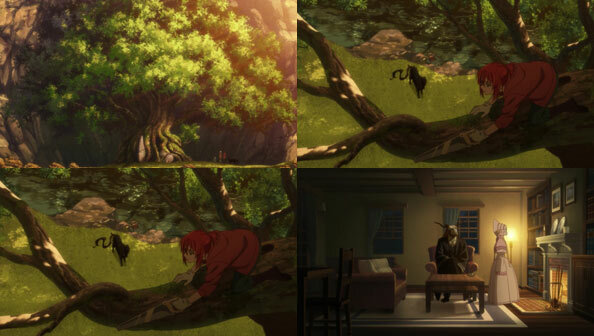 Nevin’s Tree is as big and majestic as ever, and Lindel directs Chise to saw off a piece of it for her wand. Her lack of surefootedness in the tree results in a spill and a demonstration of how crucial it is she have a familiar nearby to, among other things, catch her. Back home, Elias notes how quiet it seems without Chise. While she’s hardly a Chatty Cathy, she’s a motormouth compared to Silver. Then Elias receives a message via bird-intercom from Adolf Stroud of the College administration, who’d like to learn more about what Elias has in mind for Chise’s future. 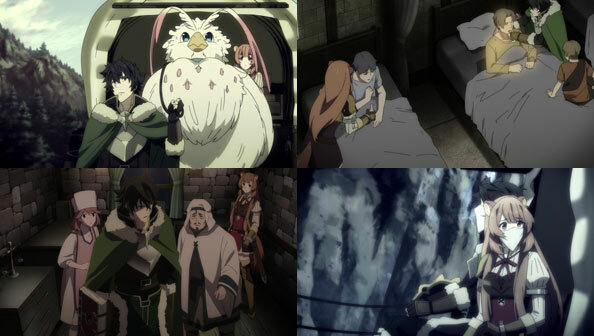 That night, Chise arms and hands are covered in scrapes and scratches, which Lindel instantly heals with a touch. 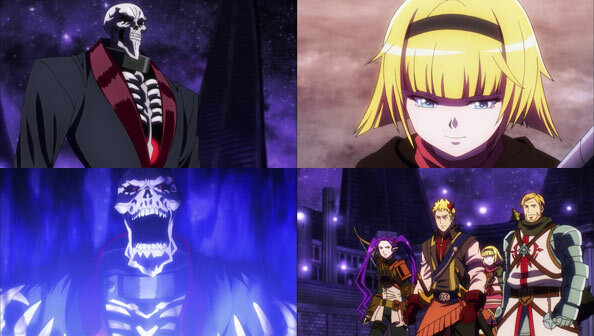 As a “bedtime story”, and because Elias hasn’t told her, Lindel regails Chise with the tale of how Lindel met Elias. 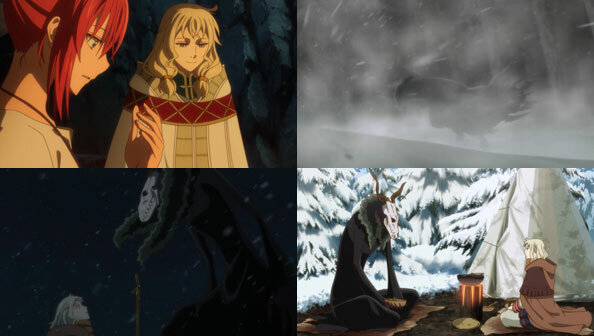 Lindel himself didn’t even have a name before his master found him, and Elias has a similar “birth”, one brutally wintry day simply appearing out of seemingly nowhere, nameless, without any memories or idea of what he was. Lindel gave him a place to rest and a meal, but its clear if either of them want any answers, the best bet is to take him to his master. Lindel finds his master with a sprig of spruce and a red string. When they arrive, when Elias is too big to enter the house, he shrinks himself to child-size. 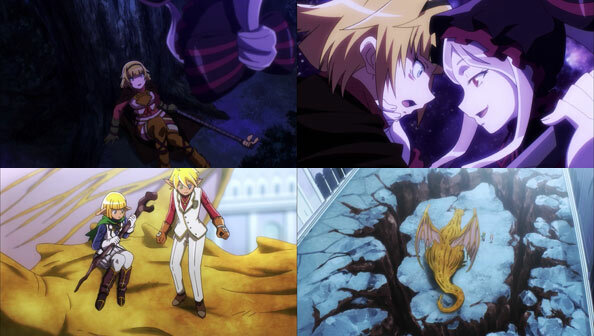 The master, kind and curious, pegs the creature as almost a fairy; as close as one can get, yet still with a bit of human, which pretty much describes the Elias we’ve come to know. 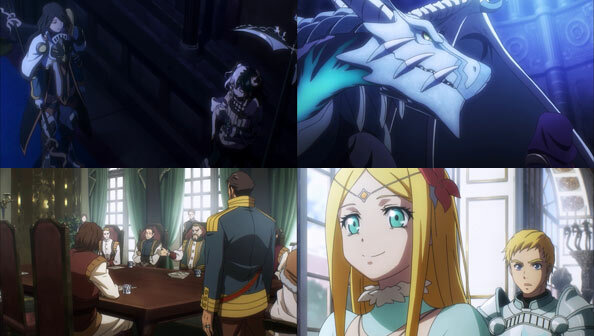 Back in the present, Elias’s bird-call from Adolf is interrupted by Renfred, who warns Elias that he’ll “ruin” Chise if all he does is let her live with him. 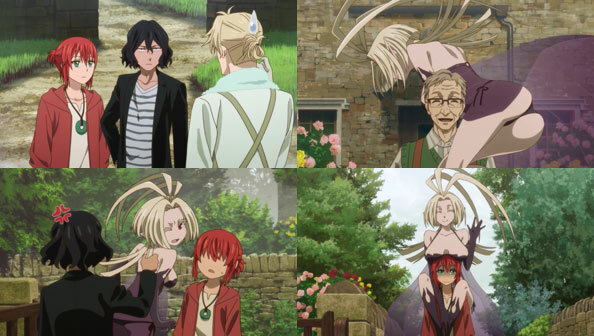 Everyone from the college to Lindel wants her to spread her wings, but Elias is taking things slow, and Chise, happy simply to be wanted by someone, is being complacent on purpose. 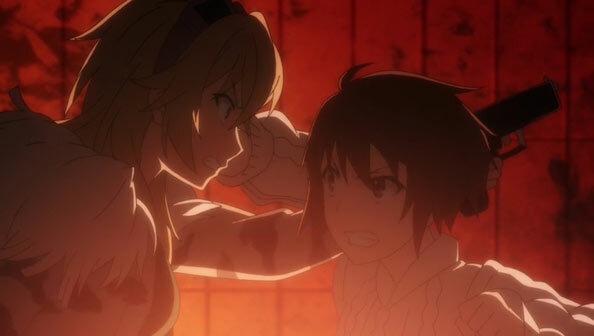 Of course, this episode only provided part of Elias’ past, and we still don’t know exactly who or what he is, particularly before that scene in the forest where he had to fight back wolves. 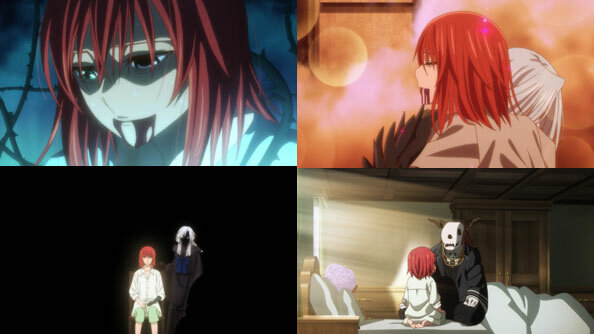 Ultimately, Chise’s future is up to her and no one else, but she’ll need more knowledge before making any concrete plans. After the dispersal of Cartaphilus, life returns mostly to normal for Chise, who enters a nice, steady routine along with her new familiar Ruth. 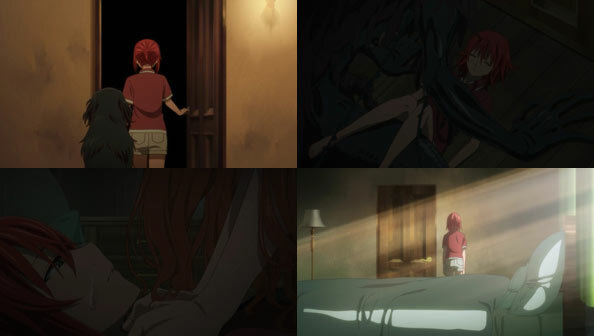 The part that isn’t normal is Elias: he’s confined himself to his room and Chise doesn’t dare enter. Eventually, Silky tires of her standing by Elias’ door and throws her and Ruth out of the front one with spending money. 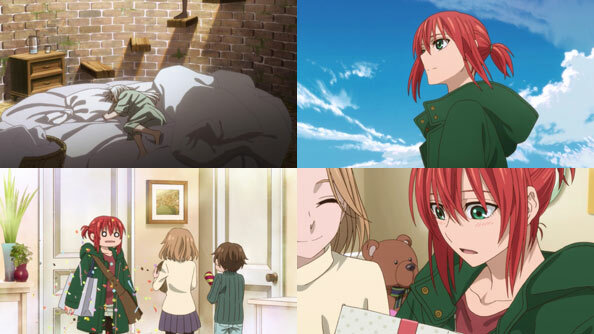 It’s not long before Chise runs into Angelica, and the two do some sightseeing and shopping around town. Angelica first tells her she needs to learn to rely on people more, but later wonders out loud if she’s being too dependent and fixed on Elias. 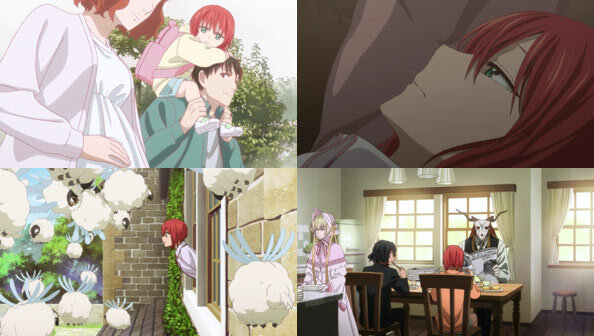 While Angelica apologizes for saying too much, Chise latches on to her latter point, and turns it into a larger criticism on her own perceived “selfishness” for not wanting to be abandoned. 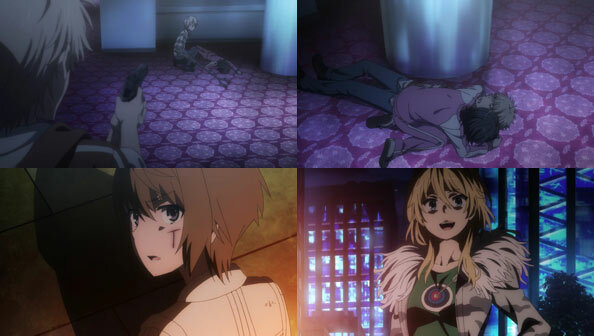 Obviously, Chise’s being too hard on herself. Considering how much she’s already lost in her sixteen years (and how few years she may have), I’d say she deserves a measure of selfishness. Besides, even as an apprentice she’s touched a number of lives in meaningful ways. She’s a good person becoming a good mage. 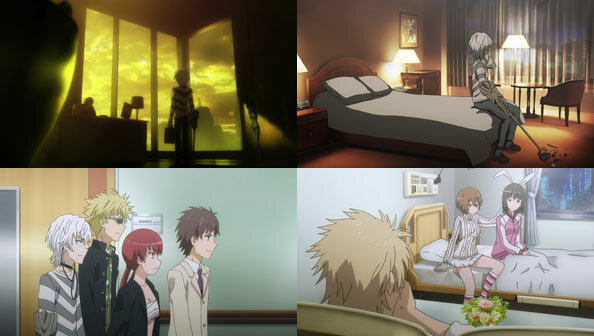 As if she heard my words about her, Chise decides to do what she wants, which is storm in Elias’ room and ask him what exactly is going on. 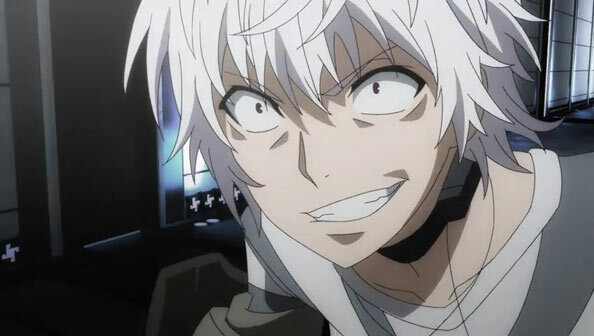 The Elias who she meets is even farther from human than usual, and he warns her (with a steady voice that belies his fearsome appearance) he’s having trouble controlling his body. I couldn’t help but think of Howl (of the Moving Castle) when he’s extended himself too far and become beast-like. 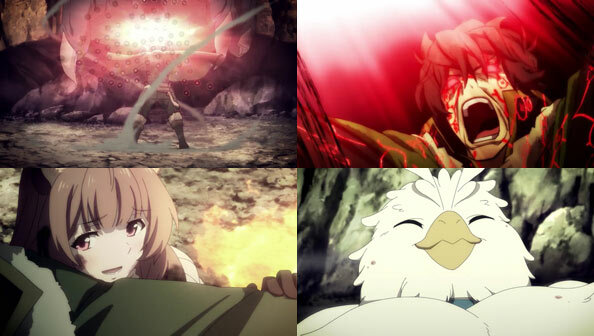 Chise was startled initially, but doesn’t remain afraid for long (thinking it’s because she’s cursed). In fact, she spends the night with Elias, during which she dreams of him on top of her turning into her mother, who tells her she should never have given birth to her. How creepy and messed up is that? She wakes up to find Elias gone and a note saying he’ll be back that night. 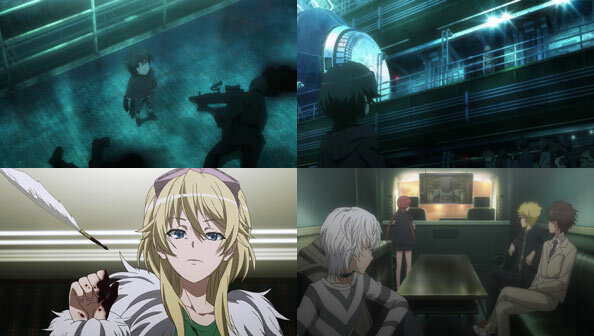 That’s not sufficient for Chise, who didn’t get all the answers she wanted, and initiates a search for Elias with Ruth. Along the way, they encounter an old man apparently in thrall to a leannan sidhe, a kind of vampire that gives their host talent in exchange for their blood – but she is invisible to him. The thing is…while Joel Garland is a big reader and occasional writer, he doesn’t have the talent or fame one would expect the Sidhe to give him. Nor does she even take his blood, because he lacks the ambition that is usually the opening her kind uses to gain a host. Instead, she fell for him, years ago, when they met eyes. They meet eyes again, and the Sidhe believes it’s because Chise, a sleigh beggy, is there. 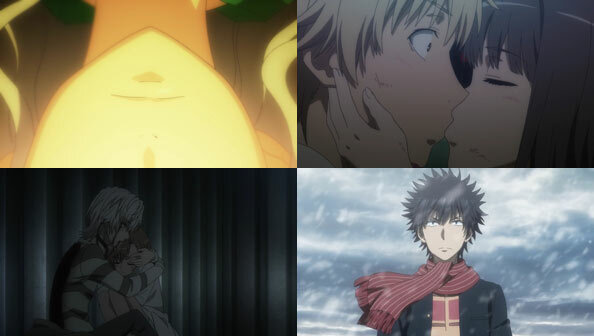 She gives Chise a couple of kisses as thanks and asks her to come see Joel again some time, but insists, almost tsundere-like, that she doesn’t actually love the guy, since she can’t give him talent or take his blood. 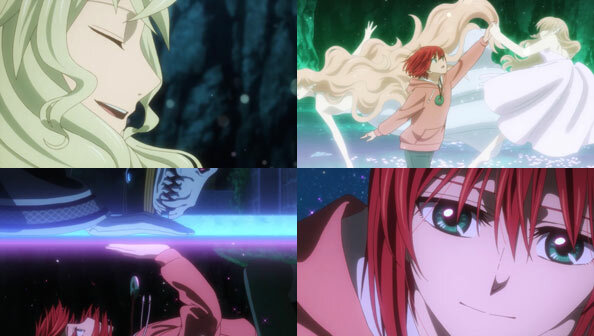 Chise doesn’t think she can talk of love when all she can think about is herself…but is she really doing that? 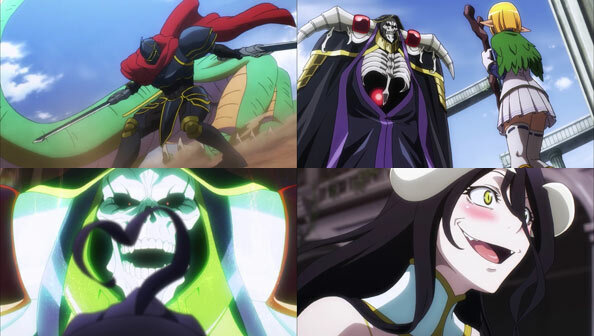 Does she only worry about Elias because he saved her; because gives her a reason to live; because she benefits? 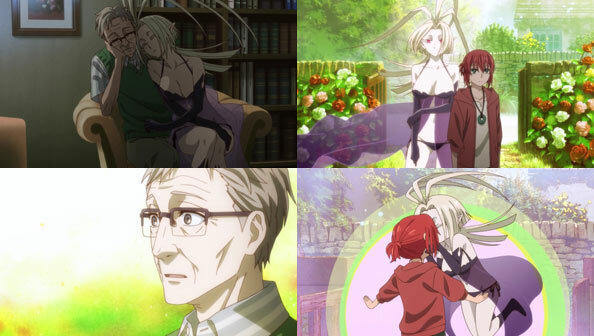 Ruth finds Elias resting in a pool and Chise races to him, demanding more answers even though she expects only a few mixed with half-truths and deflections. Elias always assumed a minimum of information was needed since she understands and accepts him so quickly. 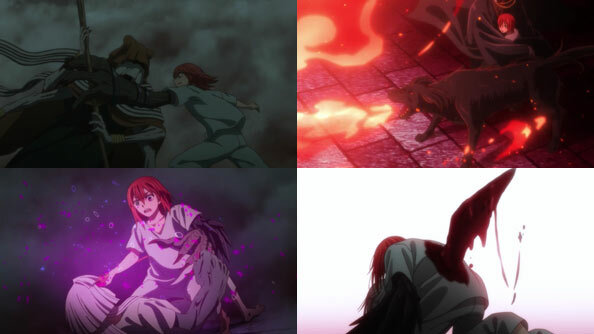 What he didn’t realize was that Chise cares about him to the extent a note and a little bit of explanation isn’t always going to cut it; she’s going to want more sometimes. 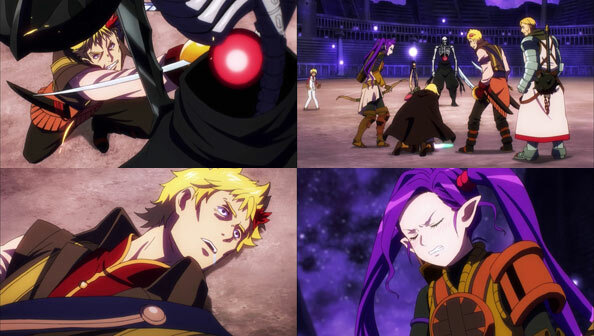 Elias, taken aback by her “new faces”, now understands, but still needs more time to recover and gather his thoughts. 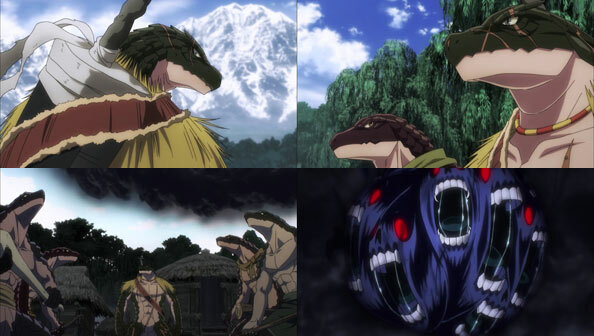 Just then, Echo’s familiar appears on behalf of Lindel, to invite Elias and Chise to the Land of the Dragons where he has “business” with her, revealing the setting for Chise’s next adventure.